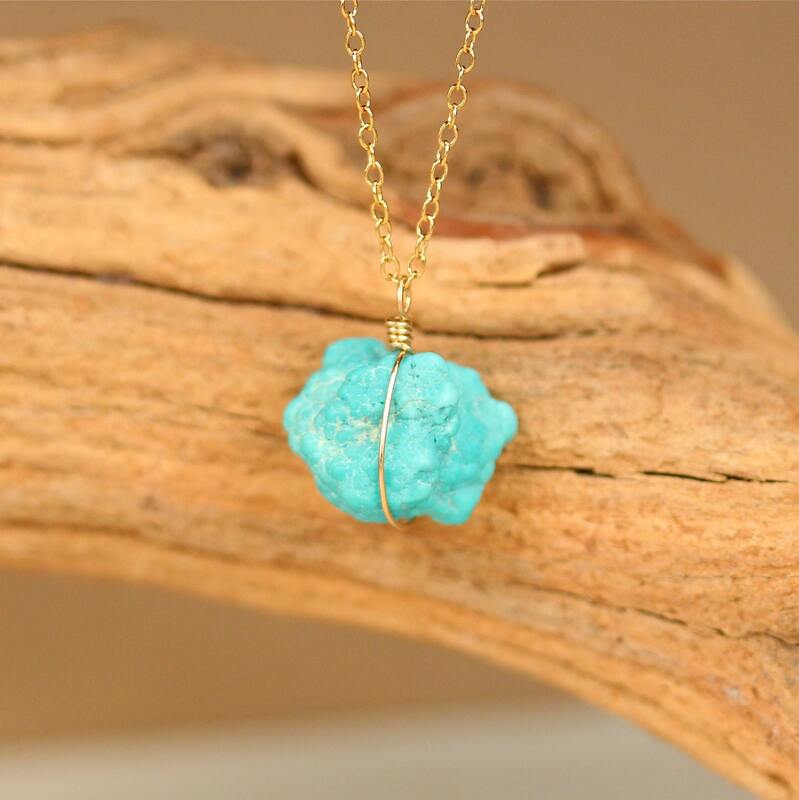 Natural Sleeping Beauty turquoise remains quite rare and is an excellent addition to any jewelry collection. 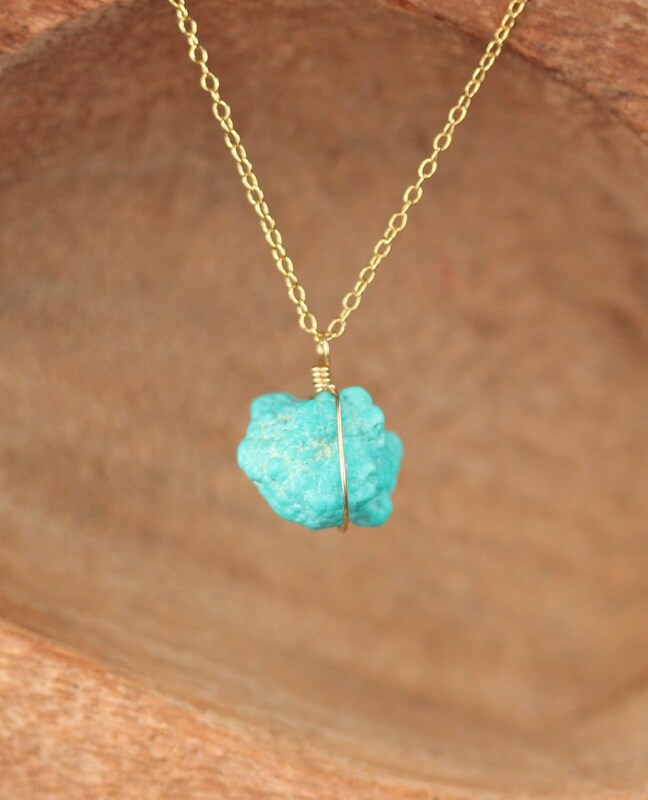 The stone got its name because the mountain where it is mined resembles a sleeping woman laying on her back with arms crossed. 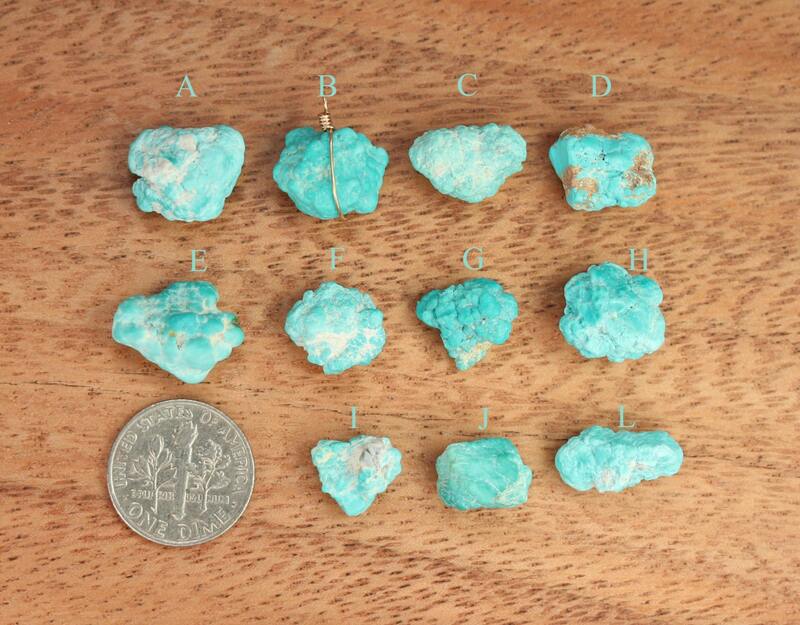 It is revered and highly sought after due to its pure sky blue color and originates in Arizona. 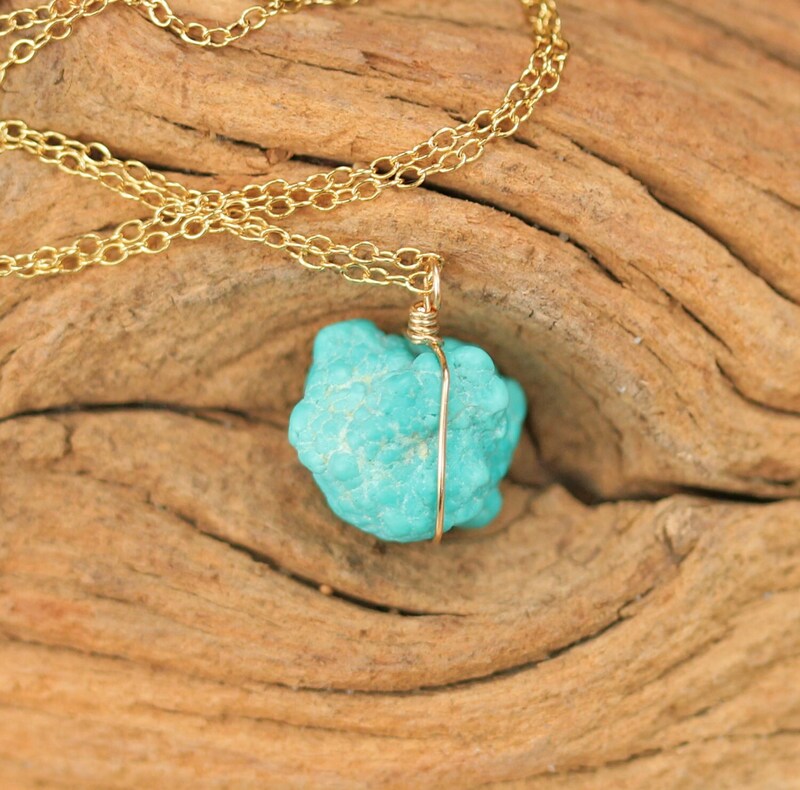 A one of a kind, raw sleeping beauty turquoise nugget is wire wrapped onto a 16 inch inch 14k gold filled or sterling silver chain. Please feel free to select a different length chain if you prefer and your favorite slice as shown in the fourth photo.